Teachers are facing unprecedented attacks by the Coalition. 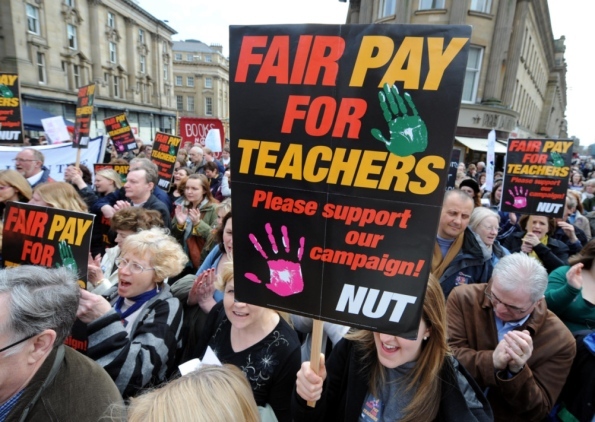 The teachers’ unions, NUT and NASUWT, together represent 90% of teachers. 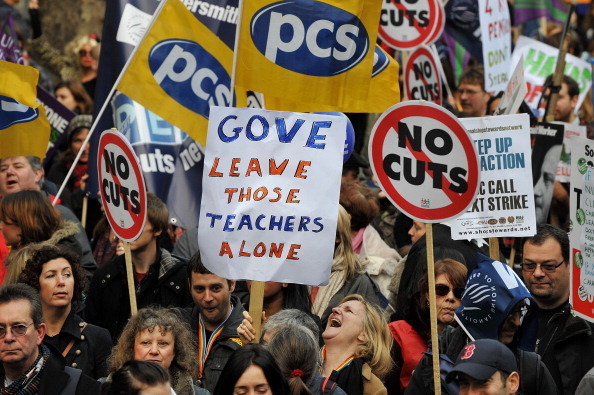 They have responded to Gove’s systematic privatisation of education and unremitting attacks on teachers’ authority, status, pay, conditions and pensions, with a rolling programme of strikes. 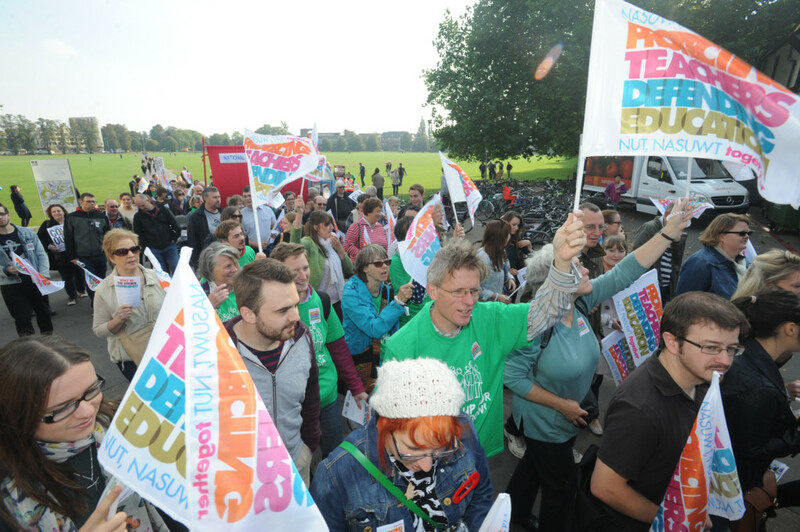 On Thursday 17 October, NUT and NASUWT members will strike across the South East. “Teachers have had enough. They’ve had enough of the attacks on their pay, on their pensions and their working conditions. But most of all they’ve had enough of the attacks on education. It’s time to stand up for education. It’s time to stand up for teachers. Please support the strikes.” This blog from Teachers ROAR was written before one of the earlier teachers’ strikes, but it explains exactly why we should all support tomorrow’s strike in our area. “I stand up all day. Most days, I get to work at around about 7.15am. I often leave at around 5 or 6pm. There is rarely a weekday evening in which I don’t have something to catch up on. Be it marking, planning or correspondence. I am tired.” Is this a daily routine you could keep up til 68 as the Coalition wants to make teachers do? 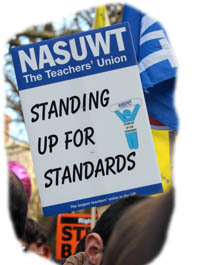 Southampton teacher, Laura Rowlands, gives her personal and professional reasons for striking. 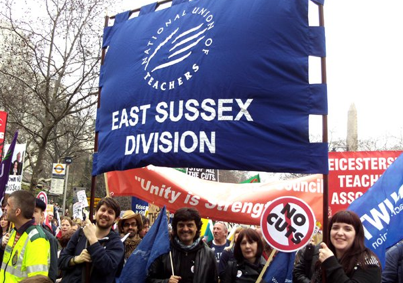 In Brighton & Hove you can support teachers locally by joining a picket outside BHASVIC at 8.30am, supporting the demonstration in Pavilion Gardens at 10.30am, or attending the rally at the Brighton Centre at 11.45am. In Eastbourne, support the rally at Eastbourne Town Hall at 11am. In Hastings, support the rally at the White Rock Theatre at 11am. 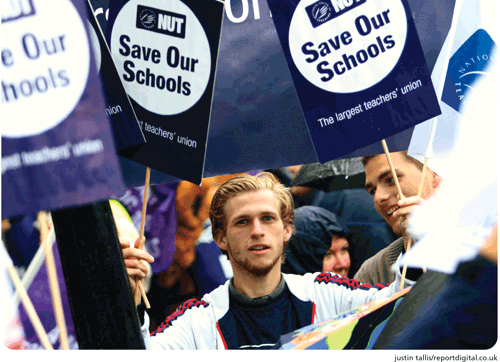 It is all the more important to support teachers this week when Shadow Education Secretary Tristram Hunt has betrayed teachers, students and Labour Party members by giving his backing to free schools. We condemn his statement: “We are not going to go back to the old days of the local authority running all the schools – they will not be in charge. We will keep those free schools going.” Free schools have been shown to increase segregation in education without any rise in standards. We suggest Ed Miliband sends Tristram on a trip to Finland to study the success of the world’s top education system – which has fully applied the comprehensive system. Tristram can pop in to see Sweden’s failed free schools on his way home. Then he might consider that we need to have fully qualified and properly experienced teachers running all our schools. There is plenty of evidence of the failure of free schools, as has been usefully summarised by Kevin Courtney of the NUT: “In Sweden, where the free schools experiment originated in the early 1990s, the news is not good. Sweden has slipped dramatically down the Programme for International Student Assessment (Pisa) rankings and there is clear evidence that free schools have increased educational and social segregation.” Probably why almost no Labour members support this policy, so Tristram Hunt pledging the Party’s support for one of the Coalition’s most hated changes must be vociferously and publicly refuted. Tomorrow is a good opportunity to do this. 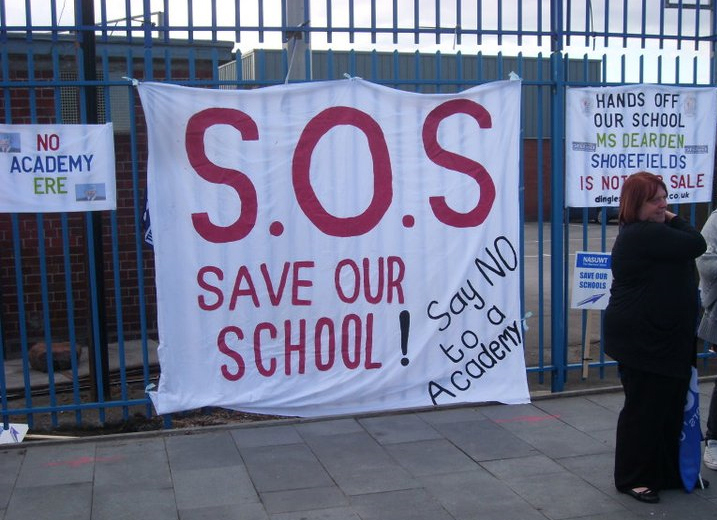 Nor are academies the answer Tristram. “If you want less segregation, do not have different types of school” said Professor Gorard as he presented the University of Durham study last month showing that academies and a wider choice of schools only increase segregation in education and lead to more divisions. We need Labour to pledge to reverse the Coalition’s privatisation of schools, not to adopt it.